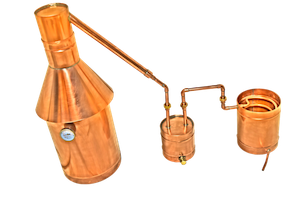 This Distillers Unit produces so much more than just moonshine, however, ETHANOL GAS< IS> MOONSHINE....This is the best time to buy your own natural survival tool. Our prices are very competitive. We Build distillation units from 2 gallons up to 25 gallons. Our feedback speaks volumes and you will be pleasantly surprised with the satisfactory customer service you receive by doing business with THE DISTILLERY NETWORK INC.
We offer the finest quality product in the world or YOUR MONEY BACK. 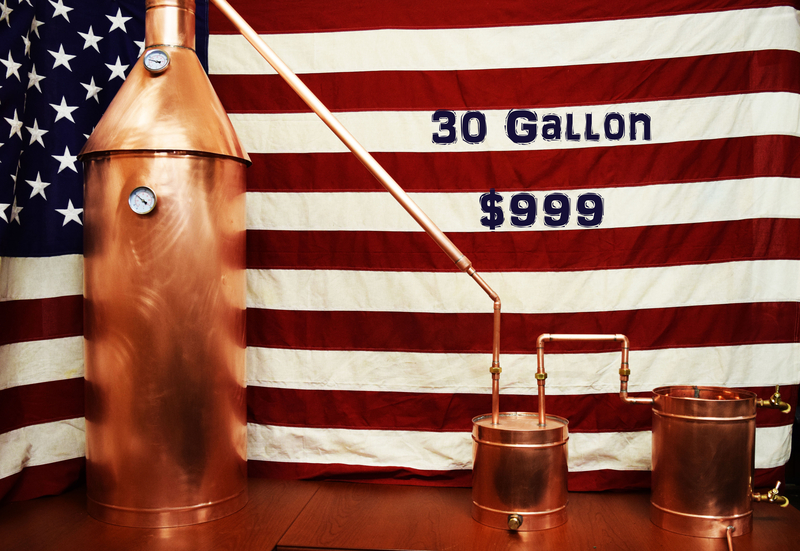 "Now is the time to buy you very own STILL ...."
What you are looking at here is a 30 gallon COPPER MOONSHINE STILL. Hand-crafted in the State of New Hampshire! This still is GUARANTEED to last . able to answer any questions which may arise. We are standing by to help you buy your first still.